Local network SWX will broadcast six home games, available locally. The schedule begins with the local battle against Eastern Washington at 6 p.m. on November 30, the Zags’ regular-season home opener. SWX will telecast one other non-conference game, the matchup against UNLV at 2 p.m. on Dec. 9. They will broadcast four West Coast Conference games, beginning with San Francisco at 2 p.m. on Jan. 13. The games against Santa Clara on Jan. 20 at 2 p.m. and Saint Mary’s at 2 p.m. on Feb. 10 will be televised. Senior Day against BYU at 2 p.m. on Feb. 24 will be the last televised home game of the season. The Zags’ road trip to Washington State on Dec. 6 at 7 p.m. will be available regionally on the Pac-12 Network. GU’s game at BYU on Feb. 3 at 1 p.m. will be available regionally on BYUtv. In addition, all the remaining home contests and all conference away games will be available via live stream online on TheW.tv. Streaming links for other away non-conference games and the Play4Kay Showcase in Las Vegas will be posted on GoZags.com when available. 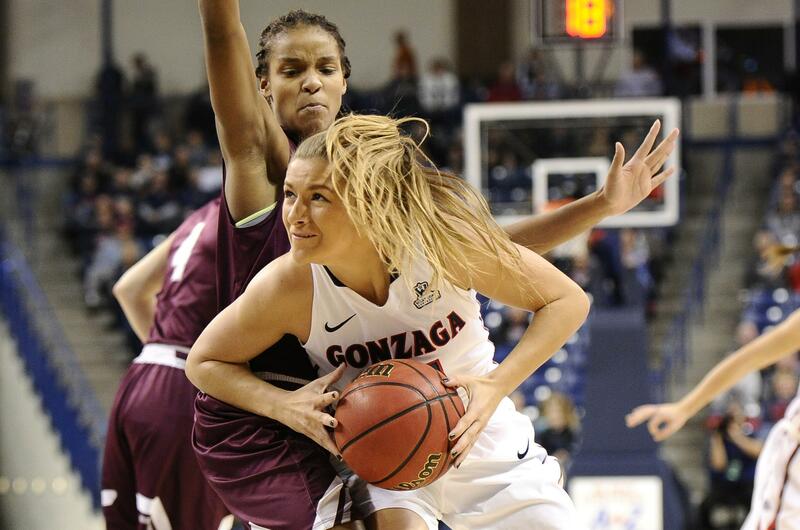 Gonzaga begins its season with an exhibition game against Northwest Christian on Nov. 5. Published: Oct. 19, 2017, 11:04 a.m. Updated: Oct. 19, 2017, 9:35 p.m.